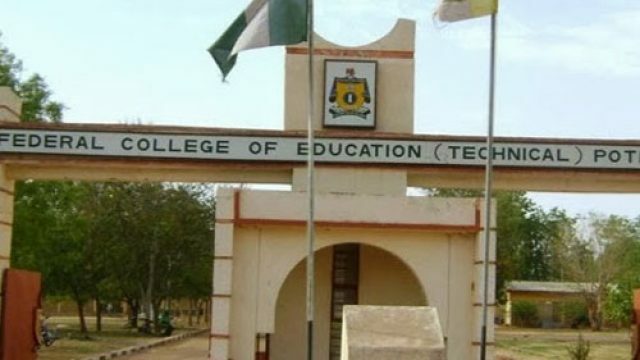 The list of courses offered by Federal College Of Education, Potiskum are displayed on this page. Candidates who wish to apply through JAMB should click on any of the courses to see the course requirements. This College fosters achievement in all areas of study, but it is especially dedicated to achievement in Education, which is an essential part of a flourishing society, and a good life. It was founded in 1989. We are especially dedicated to supporting achievement and establish relationships of lasting consequence between students and the people who teach and advise them. We offer interdisciplinary education and academic mentoring. We foster relationships between people from different backgrounds and enable students to explore diversity in a setting that is socially relaxed but academically intense. We also encourage personal and social responsibility by creating opportunities for students to share their learning with the community and to make meaningful contributions to the places where they live. The result, we hope, are NCE graduates who are prepared to engage the complexities of life in a changing world with curiosity, empathy, resilience, and joy.